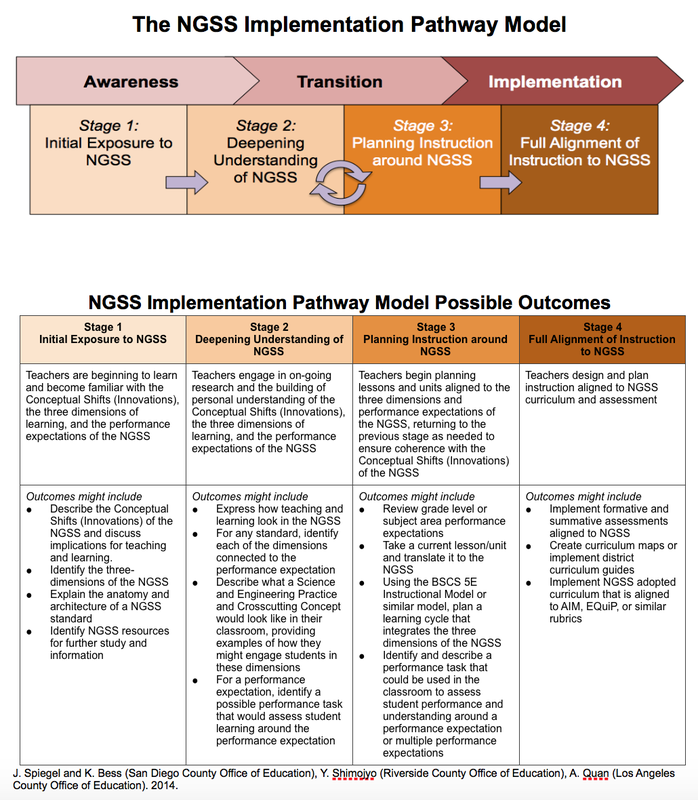 NGSS - Kristin Majda, M.S., M.B.A. 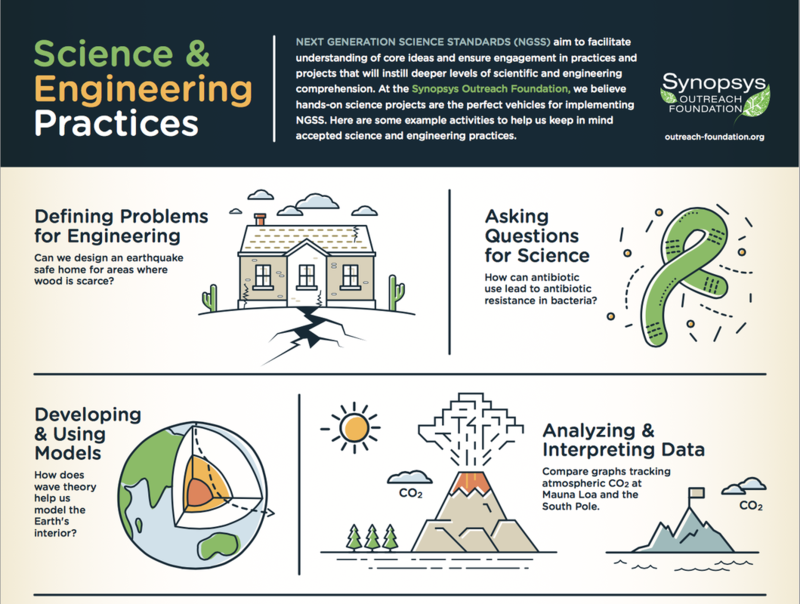 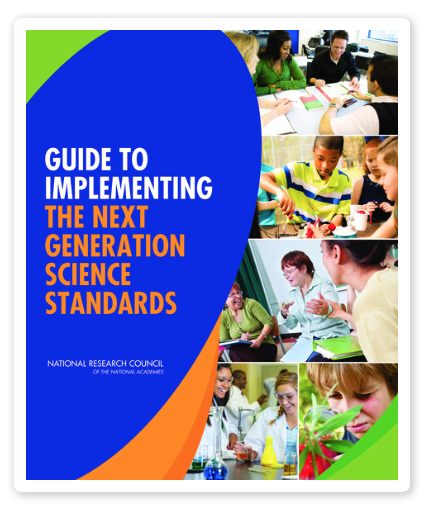 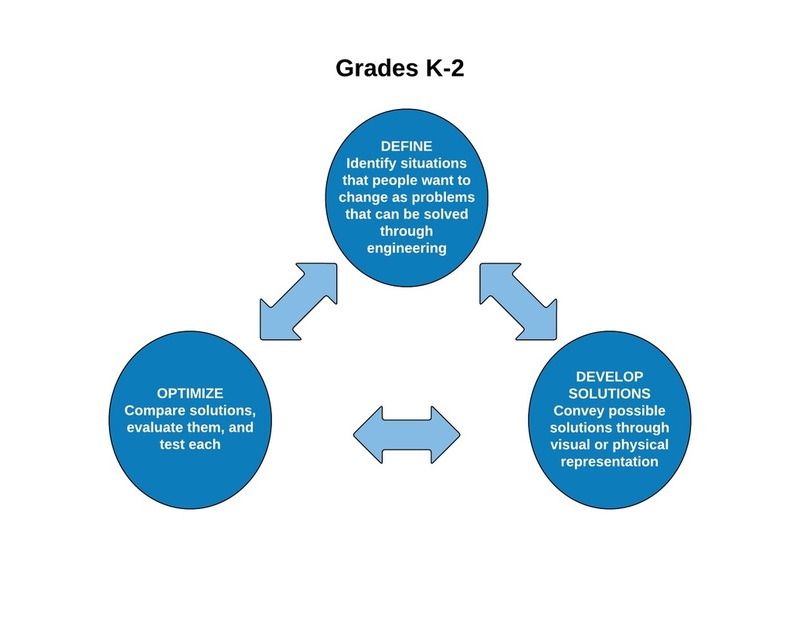 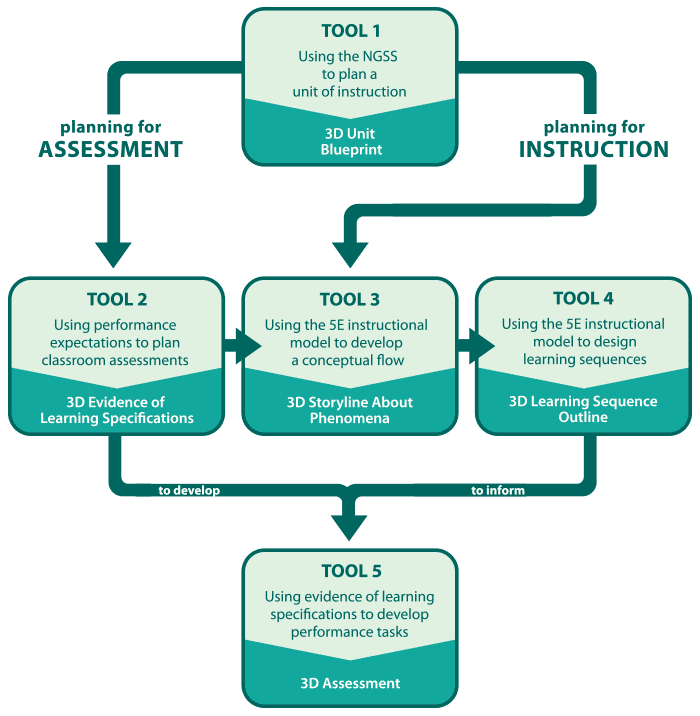 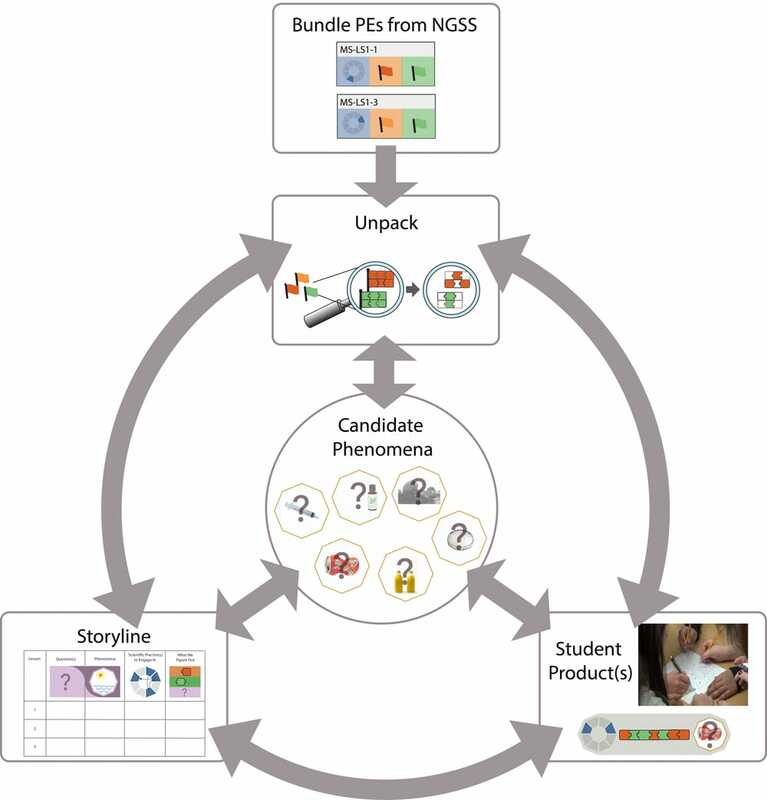 The Next Generation Science Standards, or NGSS, are a set of guidelines by which U.S. schools deliver science and engineering instruction to students. 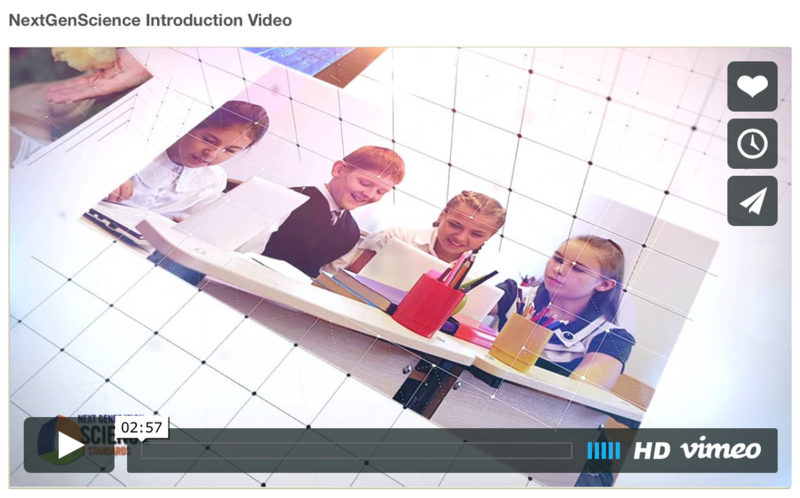 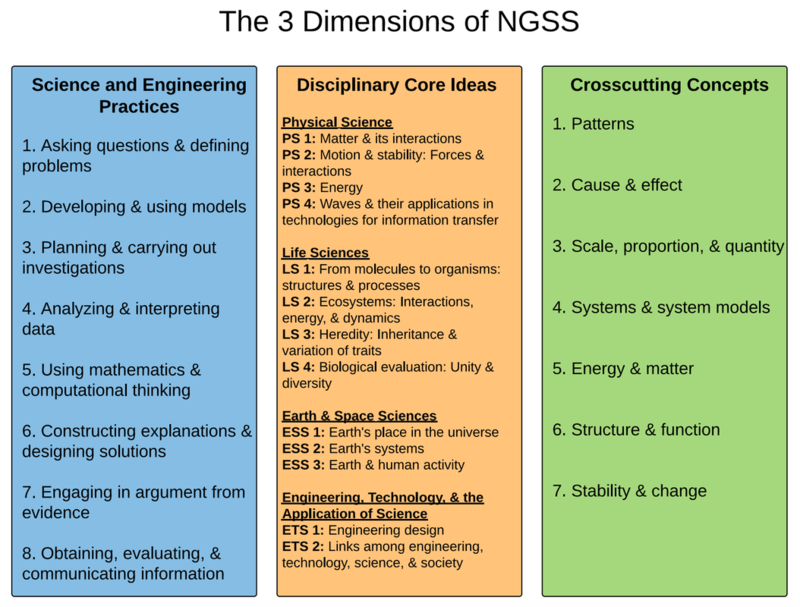 The NGSS were developed through a collaborative process that involved experts throughout the United States in science, education, cognitive development, and industry. 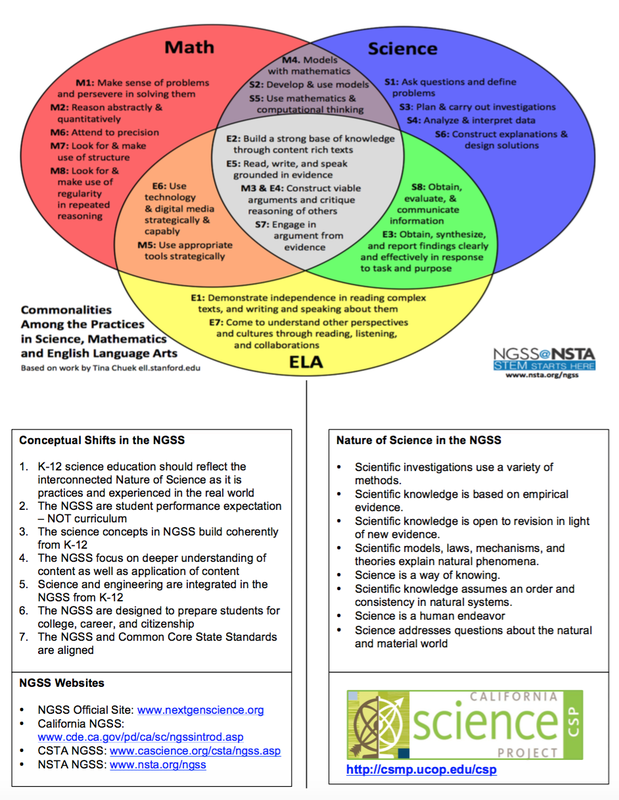 The California State Board of Education (SBE) adopted the NGSS for California schools in September of 2013. 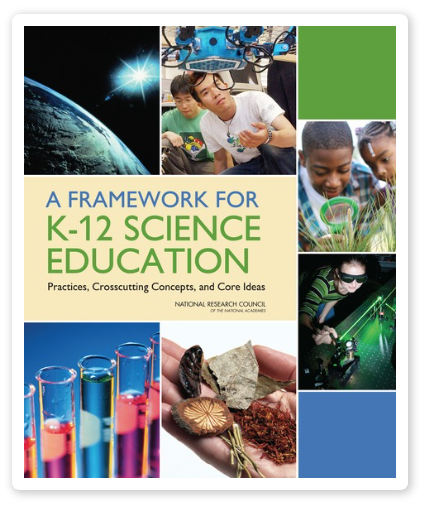 The NGSS Appendices, which are a fantastic resource for teachers, were also adopted by the state to assist teachers in the implementation of the new science standards and to aid in the development of the new science curriculum framework. 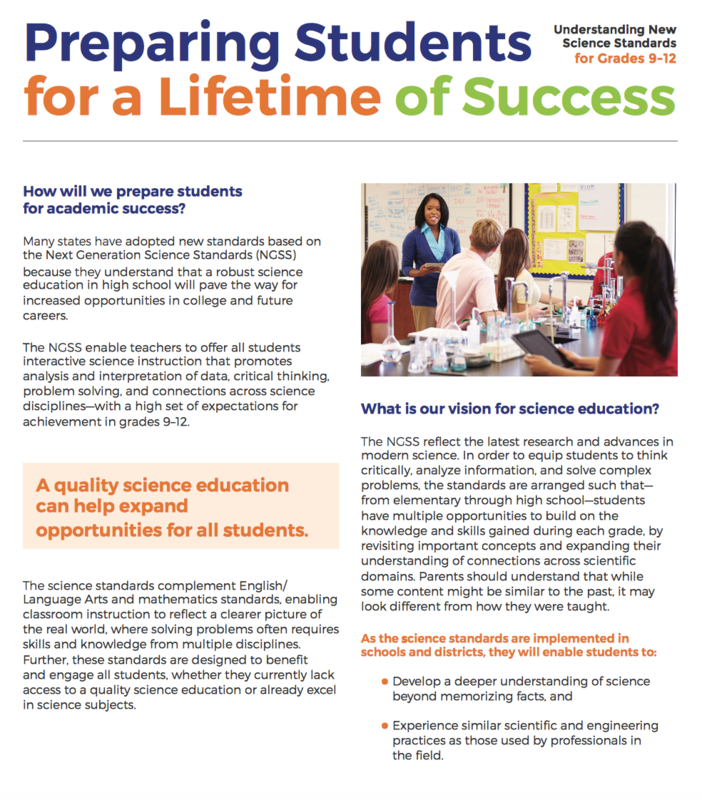 Click here to visit the Next Generation Science Standards (NGSS) official website. 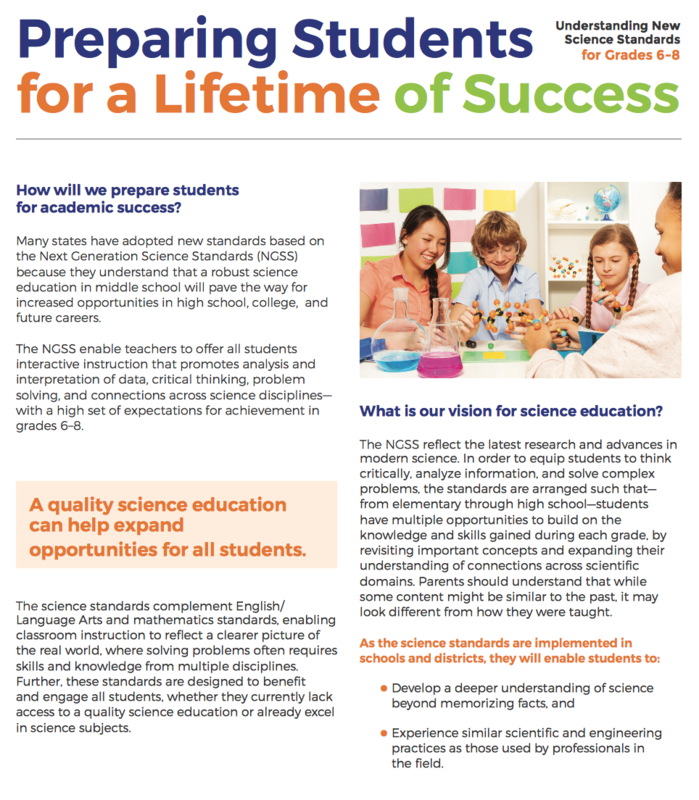 Click here to access the California version of the NGSS. 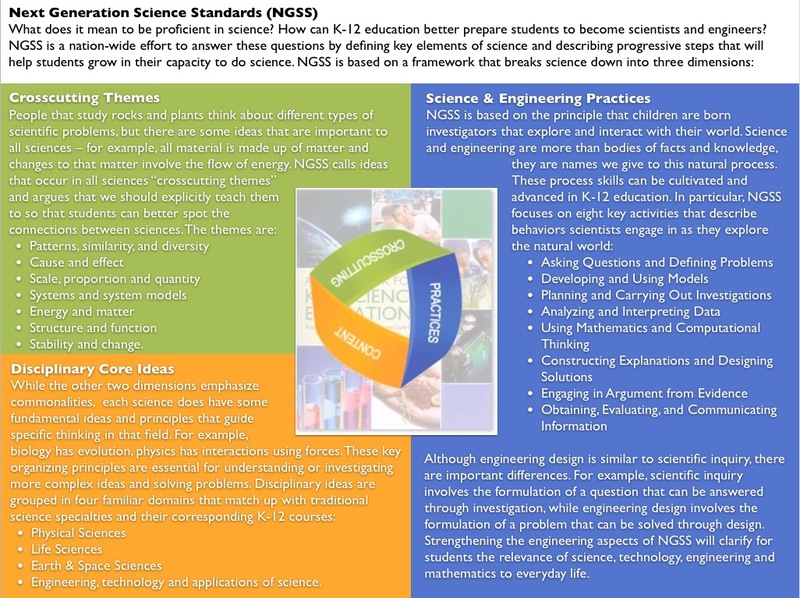 The national NGSS website also has a great NGSS Resources page. 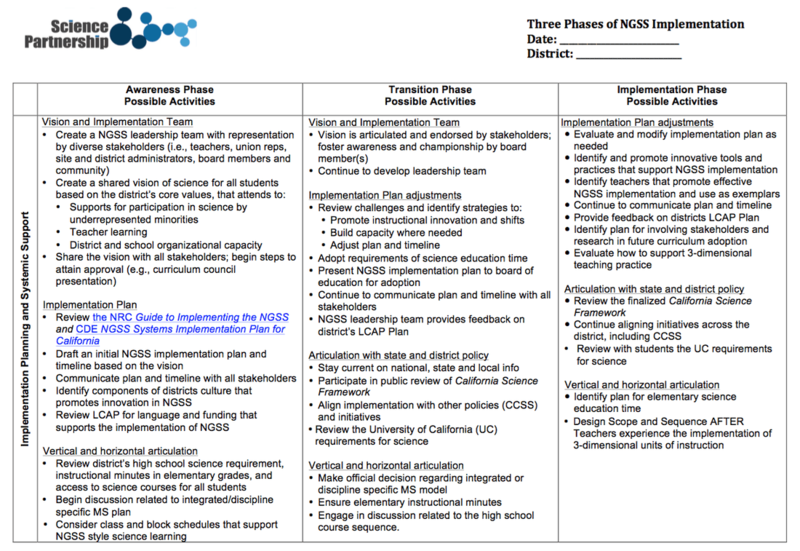 California has been working to train school districts on the new standards and support them in implementing NGSS through a series of annual symposia. 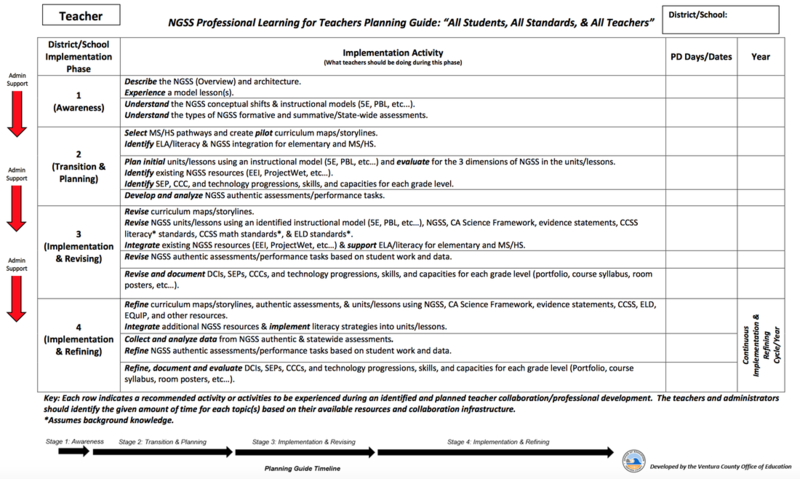 Also, California approved the California Science Framework in 2016 to provide guidance to districts and teachers for how to implement the NGSS. 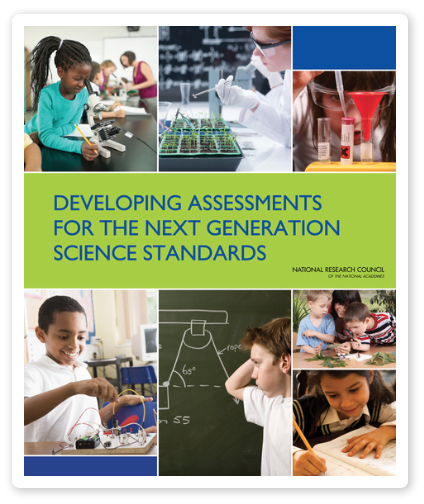 Read here to find out why standards are so important to the future of our nation: http://www.nextgenscience.org/need-standards​. 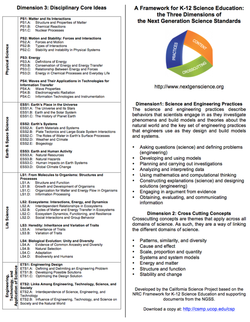 ​One of the services I provide is NGSS training for schools, districts, museums and other youth-serving organizations. 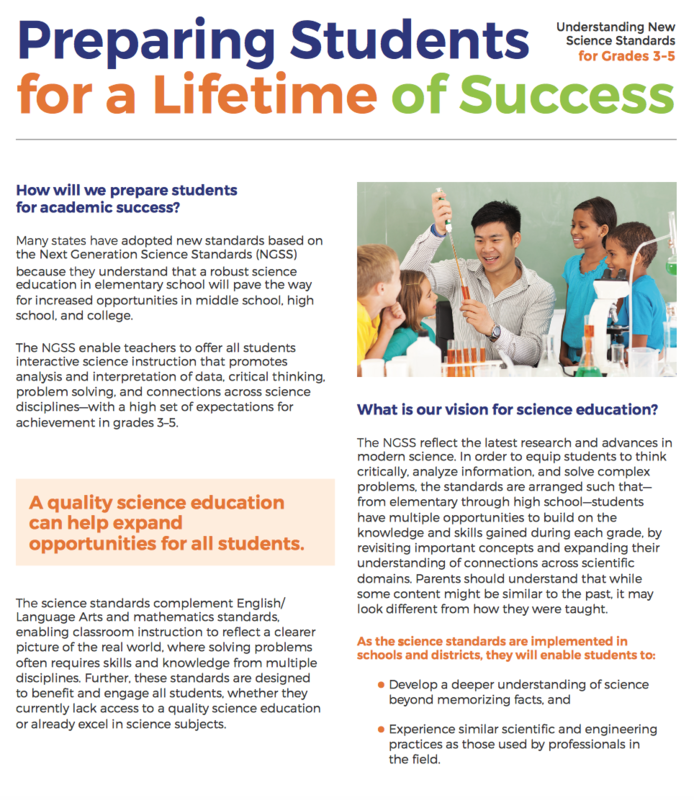 Visit the NGSS Professional Development Services page for more information. 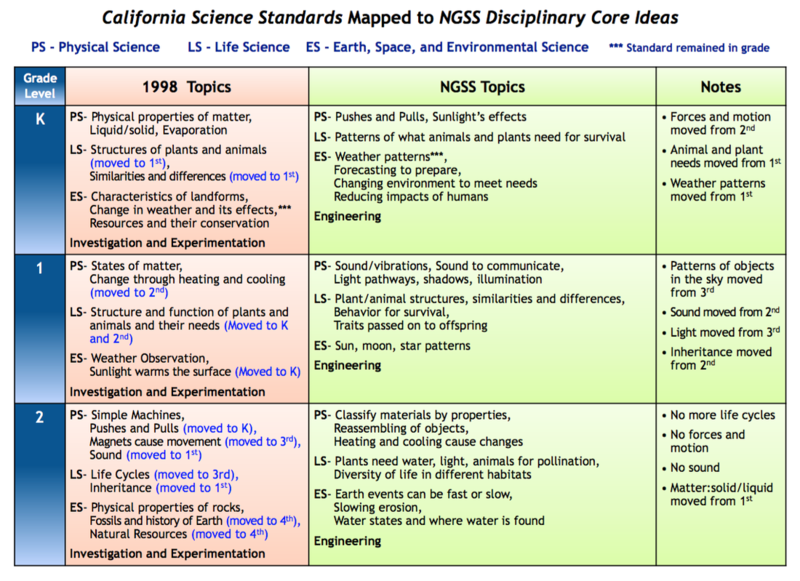 Also note that in addition to adopting the Next Generation Science Standards (NGSS) in 2013, the state adopted the Education and the Environment Initiative (EEI) in 2003 which requires K-12 teachers to teach California's Environmental Principles and Concepts (EP&C's) as well. 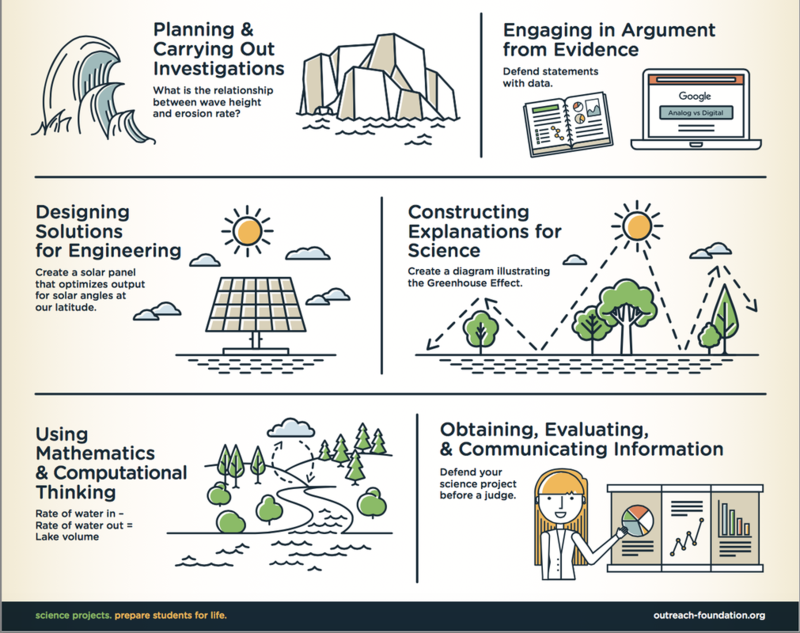 Visit the Environmental Education page to learn more about the environmental standards and access resources to support environmental education instruction. 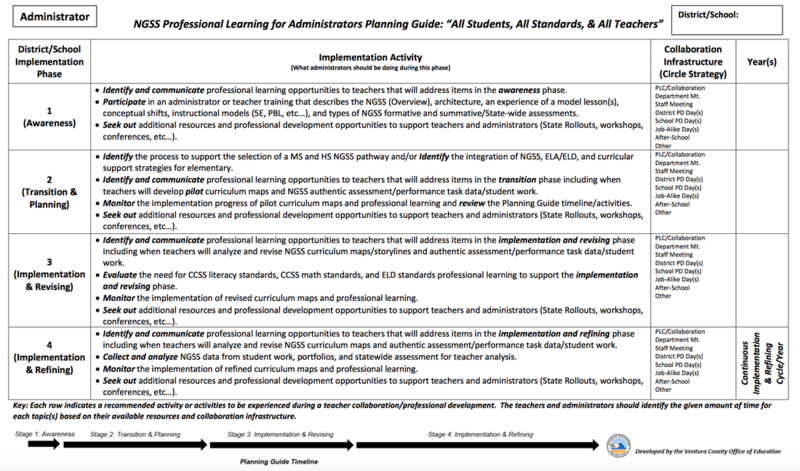 Click on a link or an image below to access or download the full resource. 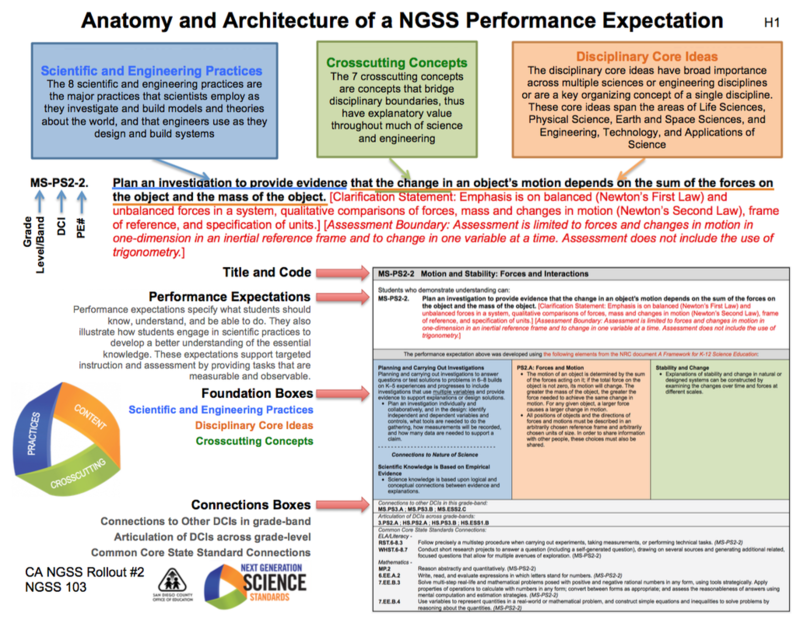 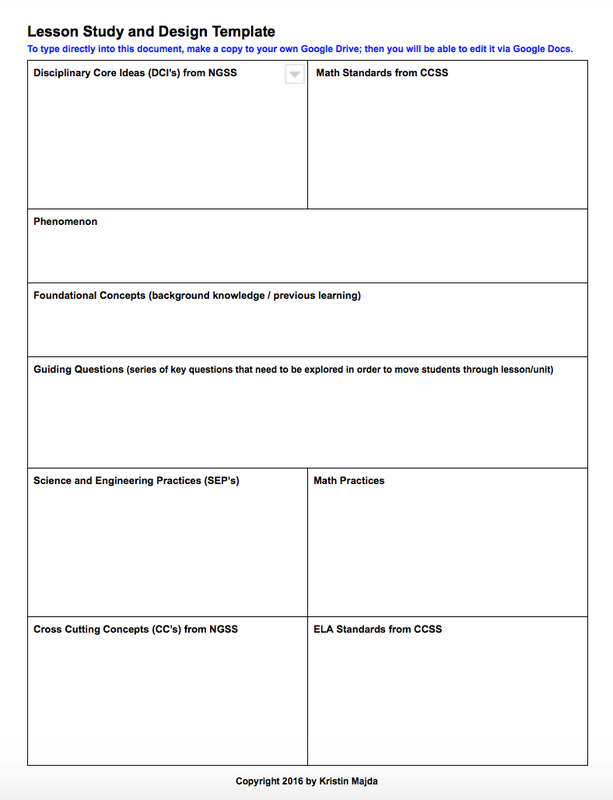 NGSS Evidence Statements - provide detail about observable and measurable things students should know and be able to do in order to meet each NGSS performance expectation. 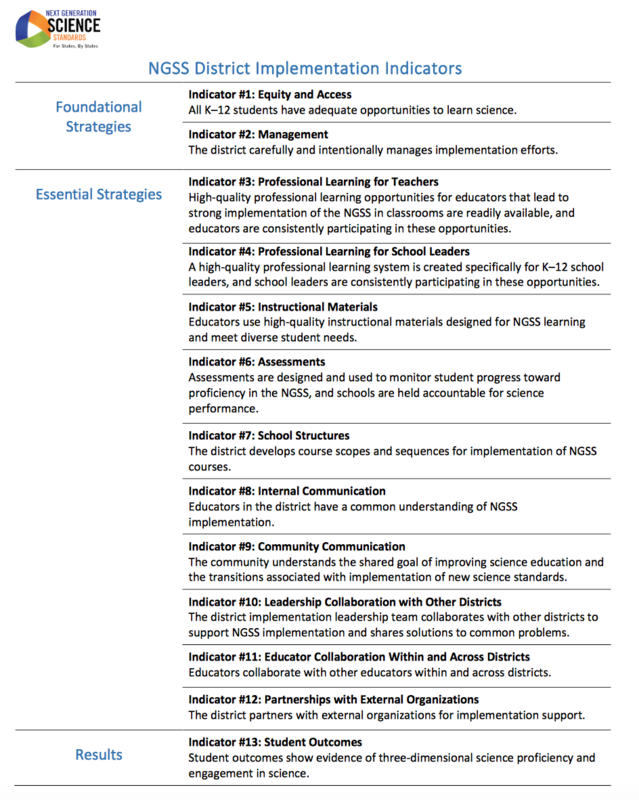 Access The NGSS Learning Library of Webinars - These webinars help teachers develop pedagogy and guide best practices for design of NGSS curriculum. 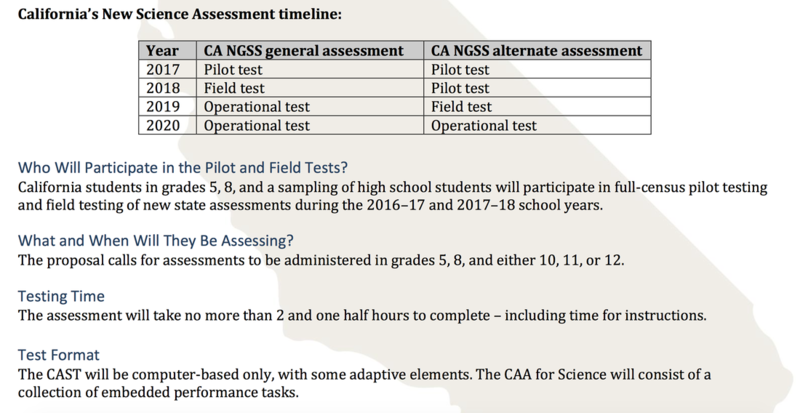 "​In 2014, fewer than half of California’s school districts included references to science education or identified plans to implement the Next Generation Science Standards (NGSS) — and even less districts included environmental literacy — in their Local Control Accountability Plans, or LCAP’s. 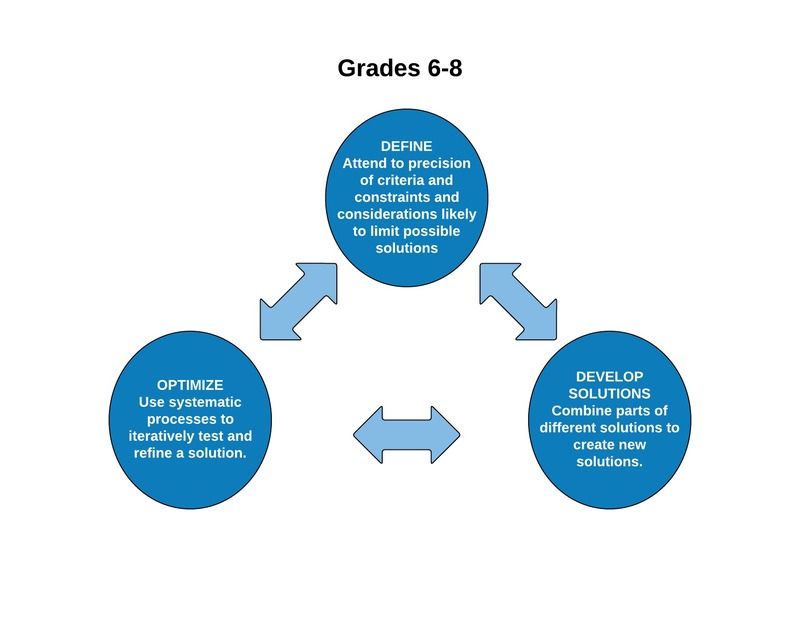 In an effort to strengthen science education and environmental literacy through the state’s local control finance and accountability processes, the Lawrence Hall of Science (U.C. 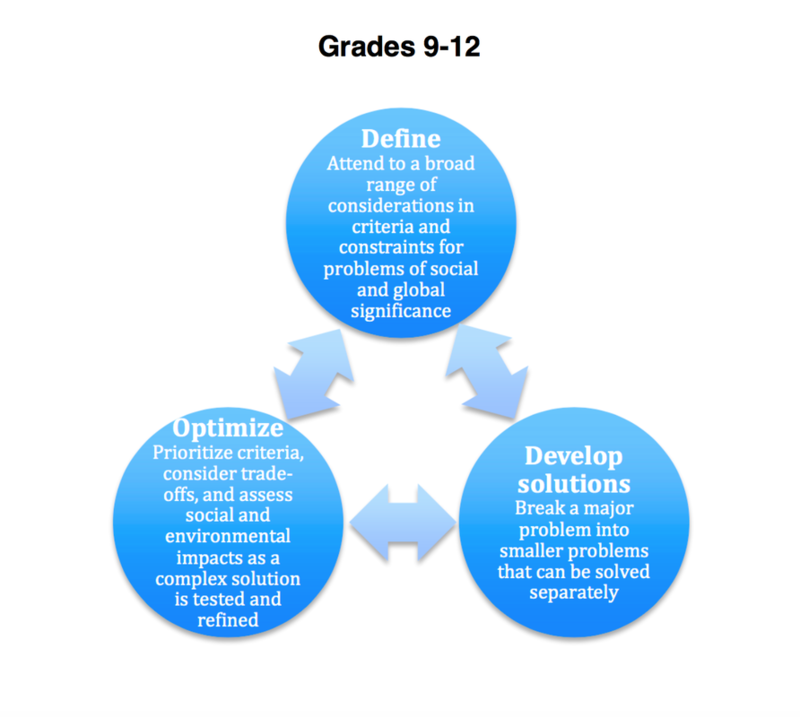 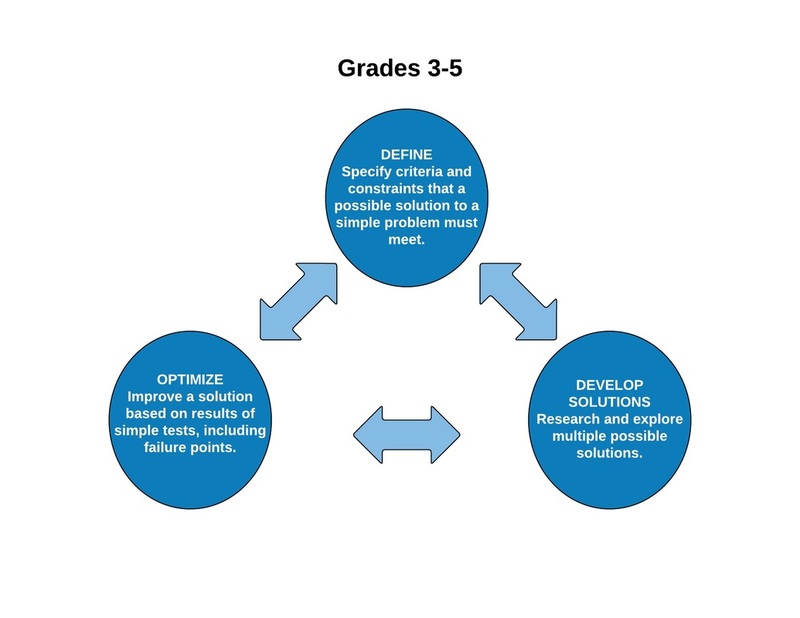 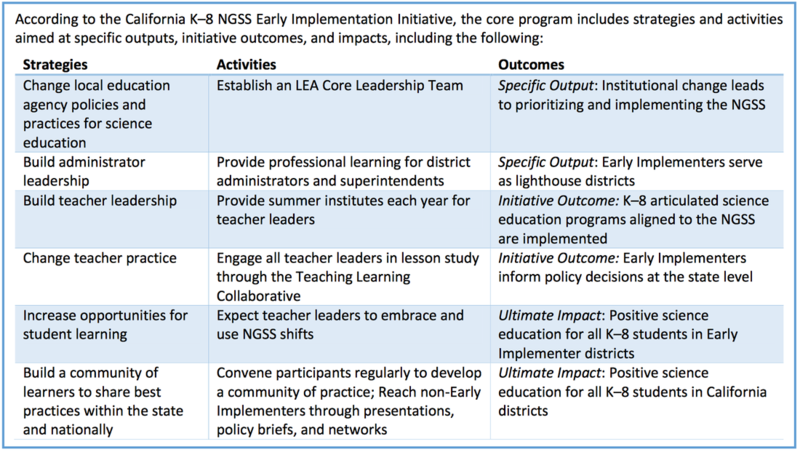 Berkeley), along with handful of partners, has assembled an LCAP toolkit to help stakeholders successfully advocate for science and environmental literacy in their local school district budget development process." 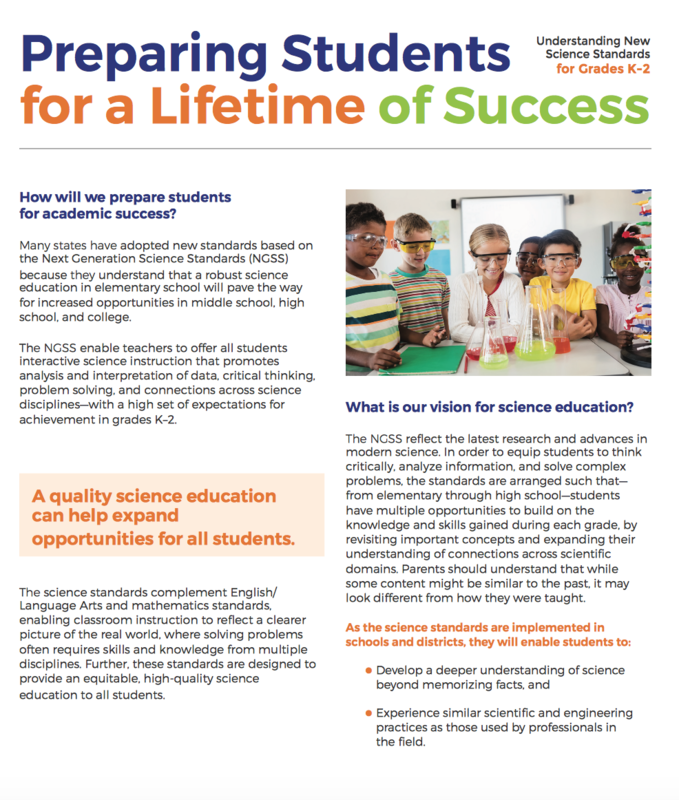 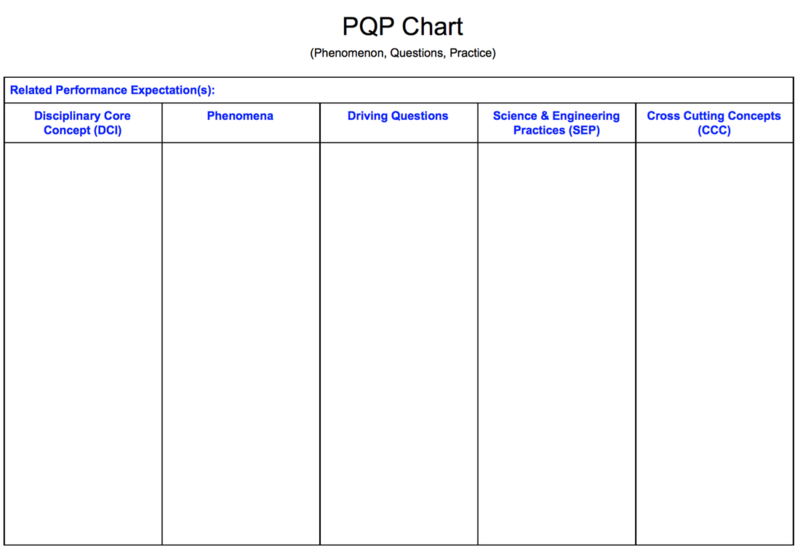 Click HERE for a library of wonderful collection of white papers for teachers helping them to develop pedagogy relevant to NGSS.